Lexington Area friends. Like Mr. Sparkle on Facebook for the deal below. Hey ALL!! Salt is Everywhere! Use this status for $2.00 off our "Regular wash"(Southland dr) or "interior plus express wash"(Richmond rd). Or u can get $5.00 off our "Protection package"(Southland dr) or "Interior plus works package"(Richmond rd) this special offer expires Sun Feb 3rd. We love u all and appreciate your business! SAVE $2.00 On any ONE (1) 5 lb. bag of Fresh Florida Grapefruit or ONE (1) 54 oz. or larger 100% Grapefruit Juice. Since beginning its National Pancake Day celebration in 2006, IHOP has raised more than $10 million to support charities in the communities in which it operates. On February 5, 2013, guests from around the country will once again celebrate National Pancake Day at IHOP and enjoy a free short stack of Buttermilk pancakes*. In return for the free pancakes, guests will be asked to consider leaving a donation for Children's Miracle Network Hospitals© ** or other designated local charities. GROCERY SHOPPING TIP: Did you know that Wednesday is the best day to grocery shop? Many stores release their new sales today, but will also honor last weeks sales. 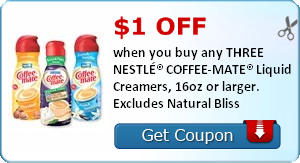 Right now, you can save $1 off any three Nestle Coffee-Mate creamers! The French Vanilla and Creamy Chocolate are to die for! Pepsi just released a hot, new coupon to save $1 off any two Pepsi Multi-pack Plastic Bottles. So if you're a Pepsi fan, this is the time to stock up. 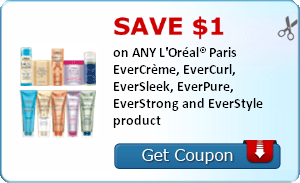 And last but not least, L'Oreal Paris is now offering a coupon to save $1 off one EverCreme, EverCurl, EverSleek, EverPure, EverStrong, or EverStyle product! And after the last few hectic days, I know my hair could use some love. Thanks to Waffle House, we can enjoy a complimentary Waffle, no purchase required! 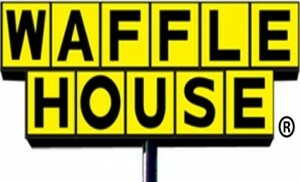 Waffle House is the best place to grab a delicious yet affordable breakfast. Just be sure to redeem this coupon on or before January 31st. Lexington Area friends don't forget to pick up your FREE Chicken minis at Chick-fil-A Thursday until 10:30am. Kellogg's Family Rewards - Sign up for Kellogg's Family Rewards™ and receive the latest news, special offers and exclusive savings from Kellogg's. Enter codes, collect points, and earn awesome rewards from Kellogg's. Target - Exclusive Offers and Promotions Sign up and receive email with new arrivals, exclusive offers and promotions from Target. Shipped FREE to all military mailing addresses. Save 10% when you buy any Elmer's Foam Board.. Expires 12/31/2013. Valid for unlimited purchases. Save 10%. Save 3% when you buy any Elmer's Glue Sticks, School Glue or Glue All.. Expires 3/27/2013. Valid for unlimited purchases. Save 3%. 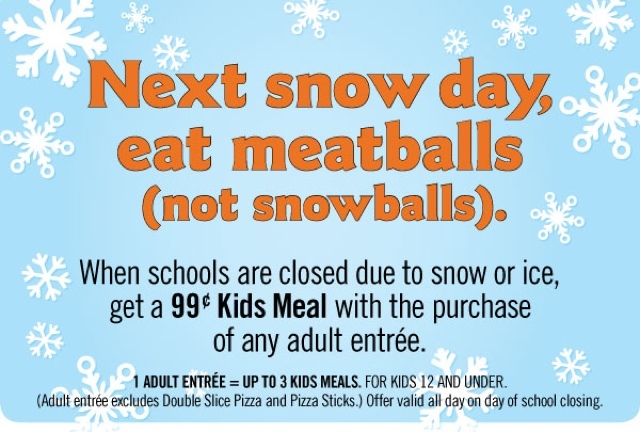 Save 50¢ on any five (5) Campbell's® SpaghettiO's® pastas. Expires 3/6/2013. Save $0.50. Buy 1 Gold 'n Soft®, Save 60¢. Expires 1/30/2013. Save $0.60. 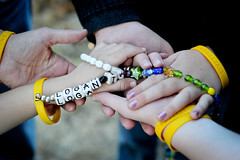 Buy 1 LouAna® Oil, Save 60¢. Expires 1/30/2013. Save $0.60. Buy any 1 Marie's® Yogurt Dressing, Save $1.00. Expires 1/30/2013. Save $1.00. Lexington area friends every Thursday in January get FREE chick-n-Minis from Chich-fil-A open until 10:30 am.